Sauces are the magic ingredient that can jazz up any dish. I use these on burritos, veggie grain bowls, salads, grain salads, noodle bowls and so on. 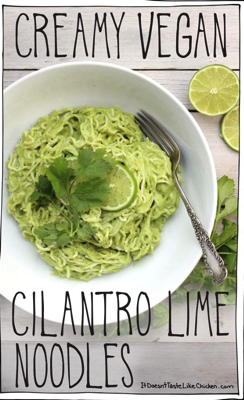 Blend in a blender or food processor until smooth, may need to add water to get to descired consistency. Pick a theme, Asian, Mexican, Mediterranean etc... then mix and match. 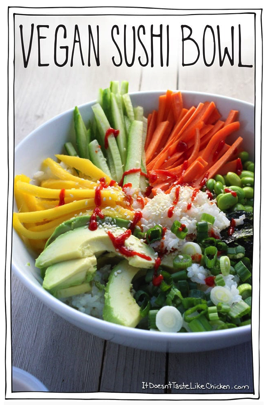 Finally, here are some bowl ideas with some additional sauce ideas. 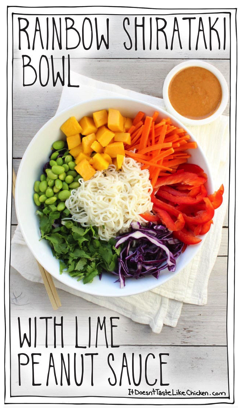 The rainbow shirataki bowl is one of my favorites and the lime peanut sauce is about as good as it can get.